Sunday retail management advice: unlock cash in your business with smart POS software | A blog about smart POS software for independent small businesses. Cash is tight in any retail business at any time of the year. The most significant and immediately accessible hidden cash can be found in dead stock: stock which is not turning, stock you have paid for which is costing retail space and labour. Test this theory. 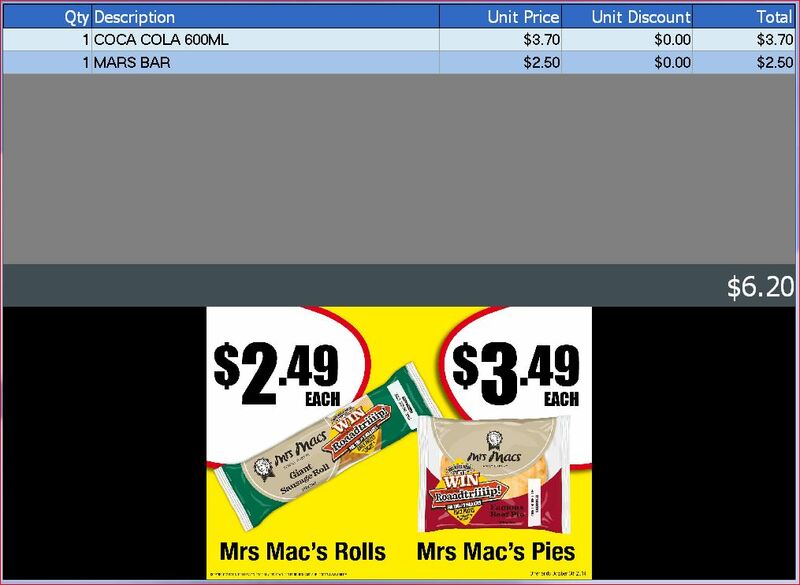 Use your computer POS software to list items you have in the store which have not sold in three or six months. If you don’t know how to produce the report, ask your software company. Tower Systems can help retailers easily report on stock which is under performing. You will need to ensure that your computer system has all stock currently in your business detailed to the software – including stock at home and in the back room. No hiding anything – not if you really want to free cash. Don’t think for too long – quit the dead stock quickly. Free up cash – probably less than you paid but learn from that. 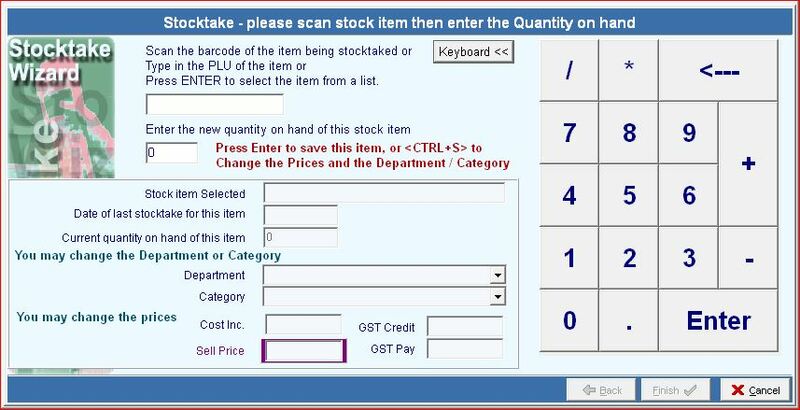 Use your computer to guide you on new stock. Look at your top selling items, departments and categories over which you have 100% control. Use the freed cash to expand in those growth areas. Arrive all new stock into your software. Scan all returns and write offs. 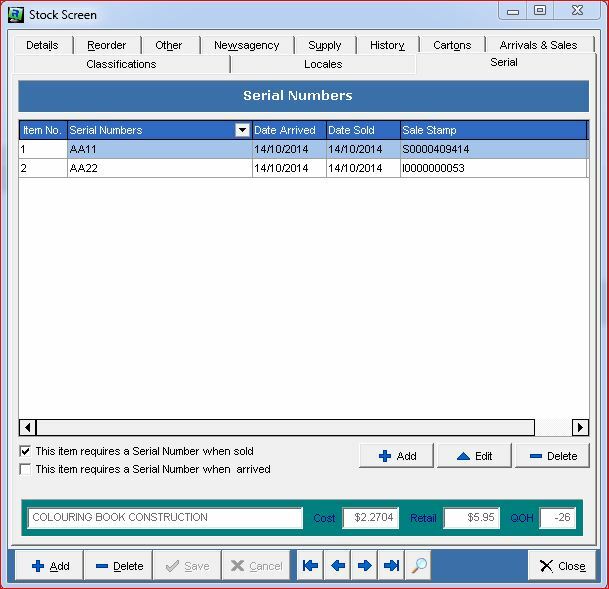 Produce a reorder report from your software for future orders – do not let reps order for you. If you have dead stock, it’s on you. If cash is short in your business run the report, understand your dead stock number, act. We’re here to help if you need. In response to the number of newsagents switching to Tower Systems for their newsagency software we are scheduling help for former POS Solutions users. We have specialists on our team who understand both systems and can make it easier for former POS users to settle into our software and thereby feel comfortable sooner with the switch. Serving close to 1,900 newsagents today, Tower is well resourced to help newsagents switch from other software – we have plenty of newsagent customers keen to help too. Here’s another video from us for our POS software customers on how to cut theft in retail. 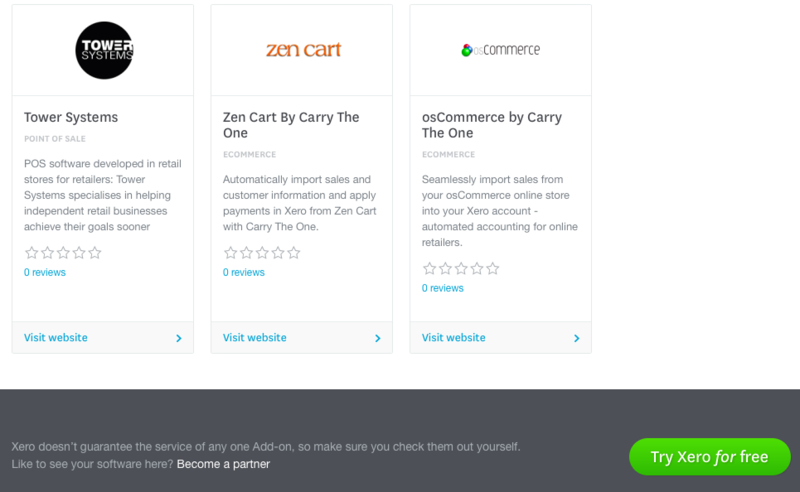 We are thrilled to see the Tower Systems POS software featured on the Xero website as an approved partner. This has come about following certification of our software as offering required and proven integration with xero accounting. Being first with this in a specialist retail marketplace helps not only us but our close to 3,000 customers. The Xero link is easy to use and seamless. It’s our recommended accounting system link but not our only one. We use Xero ourselves in our retail shops – making our advice and assistance more knowledgeable than a software company without their own retail businesses. 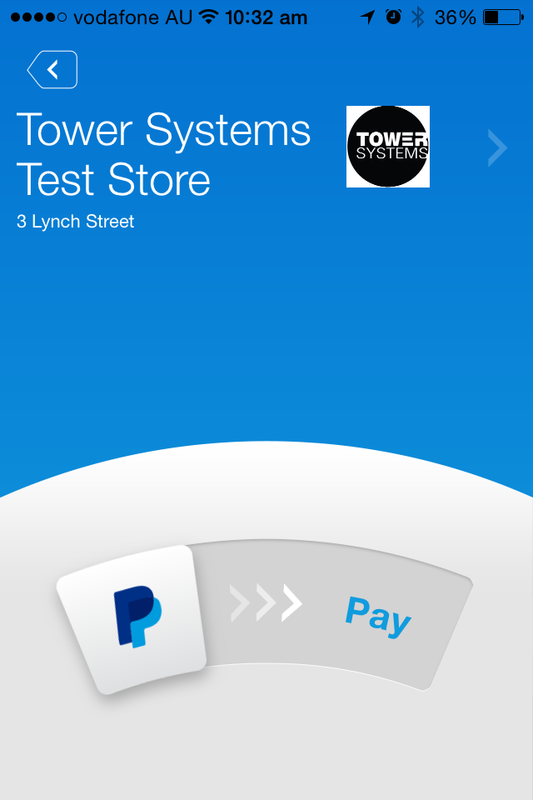 This screen shot is from a live in-store PayPal payment using the Tower Systems POS software. We have removed the customer name – but that would usually appear. The customer details are shared by PayPal as part of the line integration in our software. It’s fast, easy and it is another first from Tower systems. We are grateful to PayPal for the opportunity to be a trial developer and to lead in our retail channels by bringing shop floor PayPal market and marketing to our small business customers. The integration is live in our software and retailers are embracing it – not only for sales but to drive new traffic for their businesses. Wow! that’s the reaction from one retailer the first time they saw PayPal being used to pay for an item purchased through our software. We were thrilled. We are using the PayPal payment option in our own show and knew of how well it worked. Seeing the joy from other retailers is a thrill once they realise how they can use the PayPal facilities to promote their business to PayPal shoppers and thereby possibly attract more shoppers to their business. This is an excellent example of valuable POS software development work delivering appreciated and valuable outcomes for retailers. Serial number tracking is so complex that many POS software programs ignore this functionality. The Tower Systems POS software offers enhanced serial number tracking, new tools that help retailers who sell products with serial numbers, to track goods by serial number from the moment they enter the business to when they exit through sale or return. The serial number facilities have been enhanced in our latest POS software update. What’s interesting is that the serial number facilities are being used by businesses outside what we expected. We are thrilled to see this. 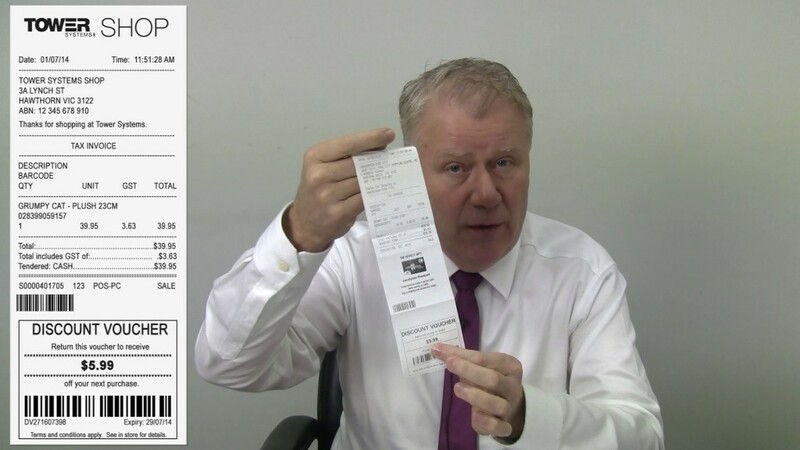 The humble retail receipt has been overhauled in the latest POS software from Tower Systems. While Tower receipts have always been flexible and professional, the new style receipts offering extraordinary customisation take receipts into a new world, they allow small retailers to leap-frog major retailers. 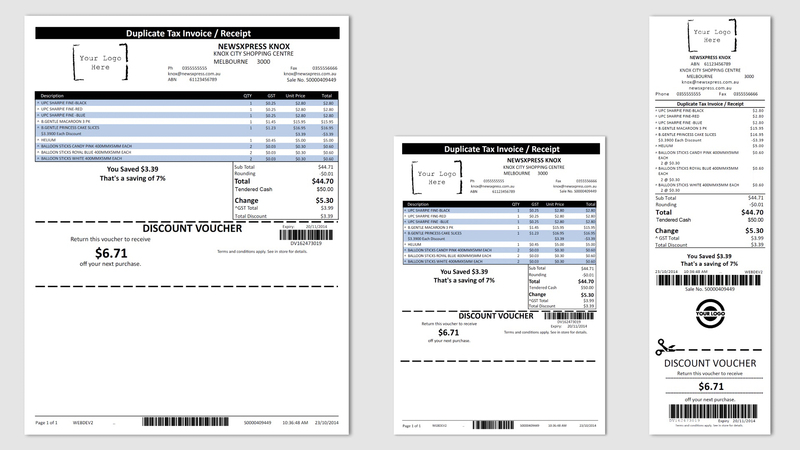 The extended flexibility and attractive graphical interfaces make the receipts more useful in attracting shoppers back into the business, they make the receipt a key element in business marketing. Already in use in many retail businesses, the new receipts are a winner not only with customers but also with retail business owners. Retailers using the Tower POS software and tracking sales by employees are finding that the act of turning on the function of itself drives better sales for the business. Encouraging competition between employees is at the core of the growth. Being able to report on all sales by employee empowers business management to have more meaningful conversations with employees and through this to help the business grow. We have seen retail businesses where managers have not become involved and where employees have delivered growth by comparing their own performance numbers. It’s a win for the business and encouragement for employees. This employee tracking facility is a core part of the Tower software. It’s something we commend to every retailer. Terrific new retail customer display facilities are being embraced by retailers using the Tower Systems POS software. Serving customised content on customer displays within the context of a sale helps retail businesses drive sales and improve business outcomes. While the Tower software has served customer display access for years, enhancements take the facilities to a new level, offering small and independent retailers facilities with which they can more effectively compete with major retailers. Feedback from customers is that the new customer facing display looks beautiful. We love hearing this and love even more the feedback that they are helping shoppers spend more money with our customers. Retail shop floor stocktaking is easier than ever thanks to even better support for portable hand held devices from Australian POS software company Tower Systems. Standing in front of items on the shelves or in warehouse racking, counting and recording on-hand quantities is fast and easy with the Tower software and the HP Elite Pad. Collected wirelessly, the Elite Pad maintains accurate real time stock on hand data for the business, allowing disruption free stock taking – saving time and helping the business grow. 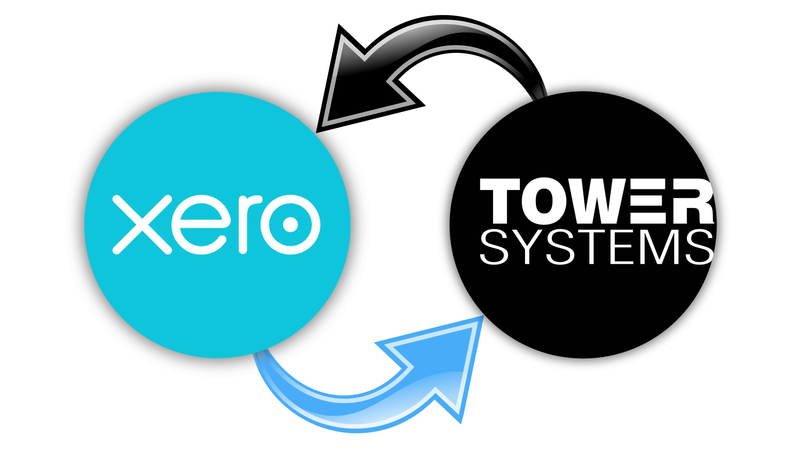 Tower Systems has automated the process for connecting its POS software with Xero thanks to a completely online cloud-based service for the bridge and data flow connection. From the Xero page on the Tower website, users have access to all they need to make the link live and working for them. And Tower users are doing this, turning on the link and switching to Xero for a more integrated and comprehensive accounting solution. Tower Systems is thrilled to be acknowledged by Xero as an authorised partner and listed on their website. Plenty of newsagents among the 1,900 newsagents using the Tower Systems newsagency software are leveraging the business growth and development tools unique to the software. These tools present newsagents with opportunities bend what is traditional for newsagents up to now. Giving newsagents access to new suppliers, new payment methods, online options and four different and valuable loyalty options provides newsagents with choices that can make their businesses more valuable. We are thrilled with reports from newsagents of double digit growth that can be traced back to their use of facilities in our newsagency software. In one case, graphing sales over a two year period demonstrates powerfully the moment when business growth took off, it was when they embraced a facility in the Tower software and leveraged the free training we provided on how to use this. Tower Systems is actively engaged with its customers, focussing on how to best use the software to make businesses more valuable. 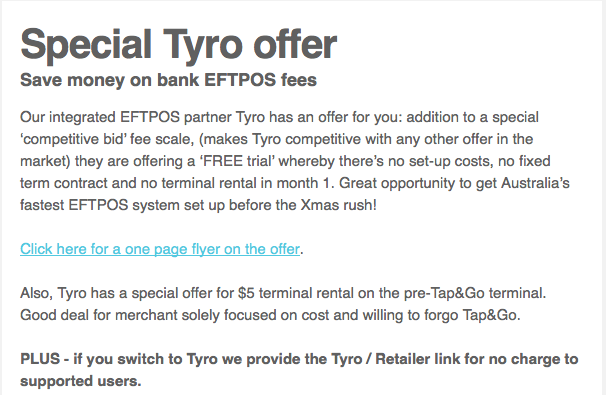 Tower Systems POS software users have been offered several options from our eftpos partner Tyro including a low cost pre tap and go $5 terminal. This non exclusive offer has been put to the Tower community along with other offers to help Tower retailers cut eftpos processing costs. We’ve emailed all our customers with details of the offer. UPDATE: POS Solutions has said of our offer: “have only just got it, something POS Solutions clients have had for quite awhile. What they have done is linked into our offer. Every tower user who takes up this offer should thank POS Solutions.” This is not true. Our offer is our offer. It’s part of a long term relationship with Tyro pitching a series of offers. What we have offered has no connection whatsoever to anything POS has done. It’s a pity they have made this false and misleading claim. The Just For Pets group has entered into a partnership with Australian pet shop software company Tower Systems as the preferred supplier of retail management software for Just For Pets retailers. While Tower Systems will offer off the shelf pet shop software to the Just For Pets retailers, the company will evolve aspects of the software to serve needs unique to the group, to enable the group to work more effectively together. The enhancements include advances EDI facilities that will enable Just For Pest retailers to save time updating stock data. “We are thrilled to have Tower Systems on board as our retail management software partner” said Karen Justice, CEO of the Just For Pets group. “Their software came highly recommended to us from members already using it and their commitment to developing the software for us provides a valuable point of difference”. “We are grateful for the opportunity to serve Just For Pets nationally and at the store level” said Mark Fletcher, CEO of Tower Systems. “We will help Just For Pets retailers serve customers and grow their businesses through smart technology and thereby strengthen the whole group”. Just For Pets members have access to privileged pricing from Tower as well as other benefits negotiated for members by the group. Tower Systems currently serves in excess of sixty pet retailers in Australia with its software. Success stories from retailers using the proprietary discount voucher facilities in the Tower Systems POS software are encouraging more to engage with these business growth tools. Developed in close consultation with retailers in several retail channels, the discount vouchers are proving to drive more valuable engagement from shoppers. They do this by offering a more easily understood reward for shoppers in return for more immediate loyalty to the retail business. Working well in newsagencies, jewellers, bike retailers, garden centres, gift shops and pet shops, the discount vouchers provide local small and independent retailer businesses tools with which they can demonstrate a point of difference shoppers love. Backed with excellent training and insightful business advice and help, the Tower Systems discount vouchers are delivering to independent retailers a bankable point of difference. Tower released the discount voucher facilities without cost to Tower retailers, delivering extraordinary additional value to the Tower user community. With more retailers loading the new POS software from Tower Systems which has just been released we are tapping into more feedback. 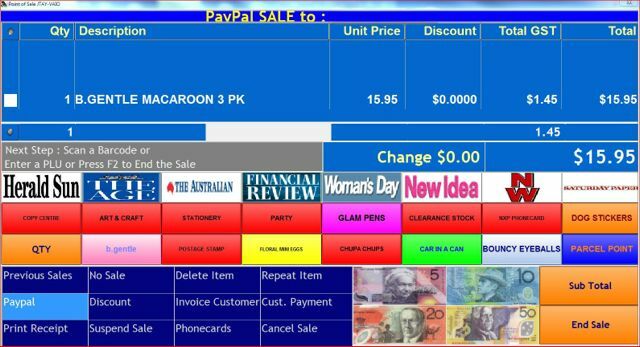 Retailers love the new facilities in the POS software. Feedback has been excellent. With more than 300 individual enhancements and many offering more specialised facilities in our various retail channel niches, retailers love that the software is even closer to their very specific business needs. Tower Systems is staging the roll out of the update and giving users control over when they install as we know small business retailers hate surprises and do not want new software forced on them without their own control. To harvest feedback the company has in place a range of touch points for customers to comment on the update, gain additional insights or to find out about deeper business implementation. These touch points in addition to an engaged help desk team provides our customers with channels through which every question can be answered and every need considered. Tower Systems is thrilled to have won several more customers from a competitor this month. We have done this on the back of delivering better customer service. Good customer service from your POS software company can improve your business. 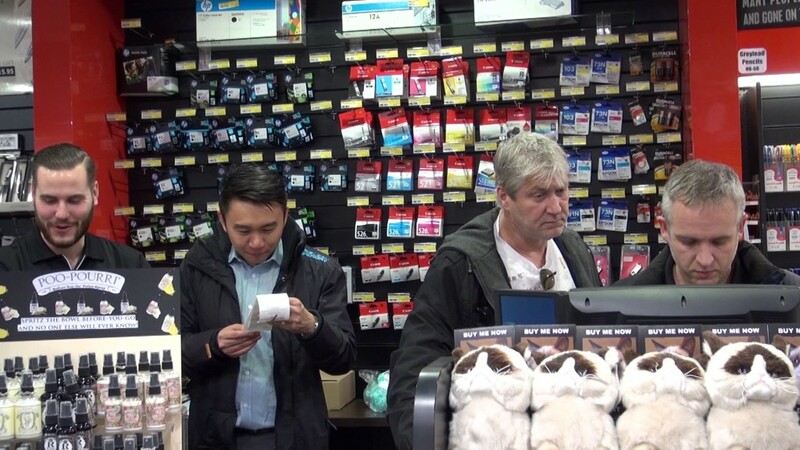 One customer switching lost important business data as a result of poor service from their old POS solution provider. Another customer switching lost hours of time as a result of delays in help desk assistance from their POS solution provider. This is our retail management tip today – use POS software from a company that delivers timely, professional help desk customer service on which you can rely. You will save time and money. The development of Permit to Acquire facilities within the Tower Systems firearms retail management software has entered a new phase with initial in-house testing commencing. The PTA facilities have been designed in close consultation with regulatory authorities as well as representatives several gun retailers. This close industry and government consultation has resulted in a design that is a first for Australia. The resulting software will deliver to gun retailers Permit to Acquire facilities that will enable them to save money in the operation of their businesses as it will eliminate paperwork and processes that are manual today. Delivering a responsible structure of managing the Permit to Acquire process, the new facilities will further strengthen the leadership position of the Tower Systems firearms retail management software. Specialisation is key to the future of software companies serving specific retail niches. In the various solutions for specialist retail marketplaces Tower Systems continues to innovate specific to the needs of those retailers. A POS software company competitor has published real customer data – of a user of their software and a customer of the user – on their website to illustrate a point they are making about their software. They could have easily used made up data. Instead, they have breached the privacy of the customer and demonstrated a lack of attention to detail. Privacy is important for all involved. How you deal with it reflects on your attention to detail. UPADTE 17/11. Seems they read this blog. The name has been partially obscured. We wonder if they apologised to Mrs Whitchurch? POS software experts Tower Systems have produced a video on how to use the POS software to help retailers compete against themselves. In this video we outline how to use the Tower proprietary Monthly Sales Comparison Report, a powerful report that helps any retailer better understand their business from then inside out. There is no comparison for the value of data to drive business decisions. The video is another in a series of professional videos from the team at Tower Systems – helping retailers lever more value from their software. POS software experts Tower Systems have produced a video on how to use the the front-end loyalty offer of Discount Vouchers to drive sales. Explaining exactly how vouchers work and how to use them in retail, the video is a perfect tutorial on growing your retail business using leading edge smart loyalty tools. Packed with evidence, examples and facts, the video is a must-see for any retailer wanting to grow their business. The Tower POS software offers points based loyalty as well as group retail linked loyalty but it is the discount vouchers program that is driving exceptional year on year growth. 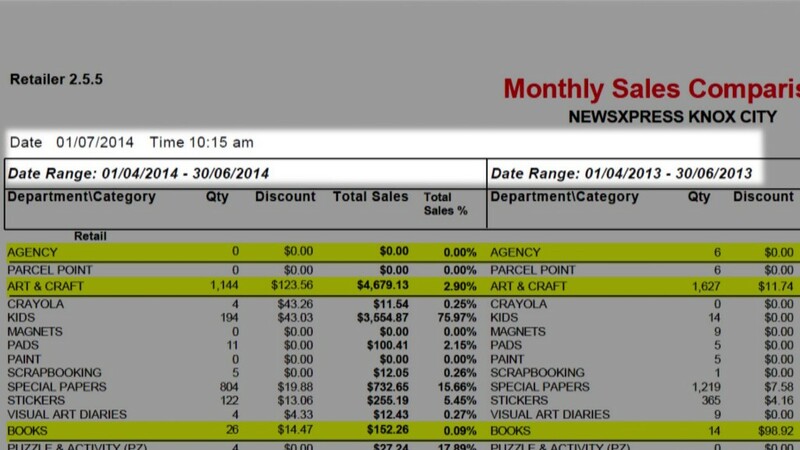 This video provides evidence of the growth the vouchers are helping retailers to achieve. The professionally produced video is another from the in-house team at Tower Systems. POS software experts Tower Systems have produced a video on the latest facilities in its POS software and in the video you can see the benefits of owning a POS software company and a retail business. In one scene you see some of developers behind using the software in a live environment. This is gold for users – showing developers learning retail from the other side of the counter. The latest video offers more training and insights for Tower Systems customers. The bigger the distance between POS software development and retail businesses the less likely the software is to serve needs. This is where Tower Systems shines through its ownership of retail businesses. POS software experts Tower Systems have produced a video on how to use the POS software Xero in retail for transferring sales and cost of sales data to Xero. As the first specialist software company serving newsagents, jewellers, garden centres, bike retailers, gift shops and pet shops to offer an approved Xero link, Tower demonstrates its technical and business leadership. This educational video is another in a series from the professional customer swerve team at Tower Systems. 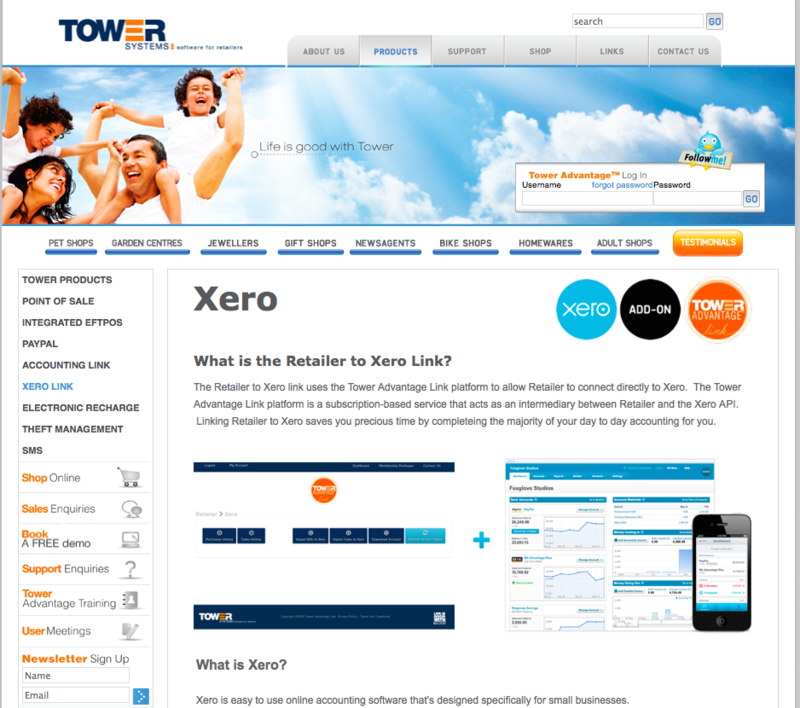 The Xero link is available in the Tower software now.